Today, March 16th, 2015 I had a dream from the Lord. In this dream I was a lawyer and was with a group of lawyers visiting a factory and it’s offices. The workers of the factory was showing us the injustice and the condition of the factory. The workers felt as if they were not being treated fairly, and wanted to bring a lawsuit against the company who ran the factory. As the tour of the factory went on, I began to see the total disregard for the workers safety, well being, and agreed to take their case. However, as we drew near the end of the tour, I began to see the true faces of those in the factory. As I looked around to thank them for the tour the gravity of the situation began to be reveal. Every person that I had talked to, who had lead me through the factory. Each and everyone was dead. I began to see their true condition. Their faces were decayed and they all looked like dead corps. Even the lawyers I was with were all dead. As I began to leave the factory, The building began to cave in around me as the people begged me to help them. Still leaving I told them I would help. I kept repeating to my self “I will do it” as the building decayed around me, as I got closer and closer to the street. The factory is the church organization, the workers are the saints, and the lawyers are the leaders (i.e. Apostles, Prophets, Evangelists, Teachers, and Pastors). The church is in disarray and the leaders are not looking after the Saints properly. The leaders are looking after their own agenda and the Church is decaying around us. They are not feeding the flock of God in Spirit or truth, and they have left the saints to do the work without Spiritual guidance or influence. The saints are crying out to God for justice and the leaders that are in place are dead, therefore the saints are dead as well. I believe everyone whose coming down on Victoria is really reacting without truly listening to what she is saying, and perhaps she is not communicating well what she is truly attempting to say. What I believe she is attempting to say is: When we obey God it is for our own benefit that we do so, because then all things will work out for our good. If ye be willing and obedient, ye shall eat the good of the land: But if ye refuse and rebel, ye shall be devoured with the sword: for the mouth of the LORD hath spoken it. When we live and do the things the Lord has required of us, it benefits us because we obtain the rewards of them; not God. Now as far as being happy is concerned. I don’t believe God cares about you being happy really. Simply because happiness happens only when good things happen, or someone is only happy when they cause evil to others. Therefore, happiness is not what the Lord is about. Joy is where the Lord truly lives. Joy will take you though when happiness ceases. Happiness will fail you with the death of a loved one, when someone doesn’t do what you want them to, or when circumstances and situations arise contrary to you. However, joy will take you through all of these. Understand that I do not defend the Olsteen’s ministry, which in my opinion is bubblegum ministry at it’s finest. However, in this instance only, I believe many have blown her statements out of proportion. Having said all this, your obedience does benefit God in that God has a clean vessel in which He can use to promote His Kingdom, but the rewards of obedience benefit you entirely. Then I Can Be Wrong. Holiness is not something we are told to be in. We are commanded to be holy. To say you are in holiness is to suggest that one is in a religion or has a choice to live holy. The scripture which states” “follow peace with all men and holiness, without which no one shall see the Lord” is not something you do or stand in, but something you are. It is the same with having church vs. being the church. This is the complete problem with the Body of Christ, we always want to have–rather than exist as what God commanded us to be. Therefore, as long as we go to church, have church, are in holiness or attend church we don’t have to be held responsible for the act of actually living holiness, or living the life Jesus commanded us to live. It then becomes easy for us to expect the ministers, pastors, teachers, and prophets to live a life of holiness while many of us live a life of mediocrity holding ourselves to a lower standard than those in ministry. Holiness is a state of living required by everyone who name Jesus as their personal savior, not a state of religion. It does not matter what denomination you put yourself in, you are required to live holy by the commandment given by the Word of God. Holiness is not a religion, but a lifestyle. A requirement of all not a select few, It is not some sort of status to be held over people, or to suggest that one is better than another. Everyone who claims to be saved and filled with the Holy Ghost is required to live holy. Period. 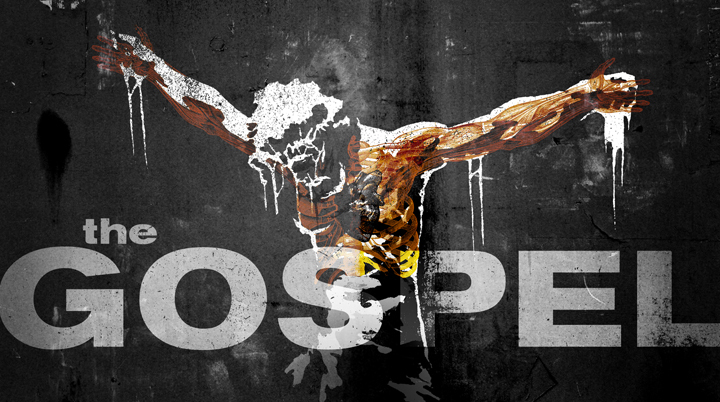 It is time the Body of Christ gave the “Church” back to the Lord, and let Him supply for the needs of the congregation. What kind of faith are we displaying if we depend on the government to do God’s work? If the Lord Jesus truly told us to do the work, he would make provisions for the work he commanded. The truth is, many go to the government to support their food banks, clothing bank, and so forth and so on to have money for other things. In the process, they have given the government access to the Holy place to plunder God’s people in the name of protecting the people. Organizations like the Freedom From Religion Foundation will continue to attack and attempt to demolish the saints freedom of expression; as long as the Body of Christ continues to depend on government instead of God. As long as we continue to serve god in a mediocre state, we will continue to be the tail and not the head. We can’t be the head in word only; we also must be the head indeed. God called us the head and not the tail, but because we His “Church” continue to trust in outside sources for our needs, the world has become the head, and we are the tail to the world, and all we are doing is wagging like a dog excited to see his care-giver. I pray the time would come back when the state trembled because of God in the Church, instead of a church with no God trembling and depending upon the state. Where the people of God go and have church instead of being the Church of Jesus Christ, with the power and the authority of Jesus Christ being demonstrated in the world. Wake up church; we are being made a fool of. Get right with God and do it now! For many years I’ve always wanted to sing and have a recording career, but many told me I couldn’t sing. That may or may not be true depending on the person, and if you don’t believe in yourself you too will believe the worst of what people say. However, your dreams are not based on what people think about them, it’s only based on what you do about them. It’s never to late to explore your dreams. I’m almost 50 years old, and I have decided to put away all the negatives in my own mind and pursue my dreams. Don’t let another day go by without pursuing your dreams, every last one. 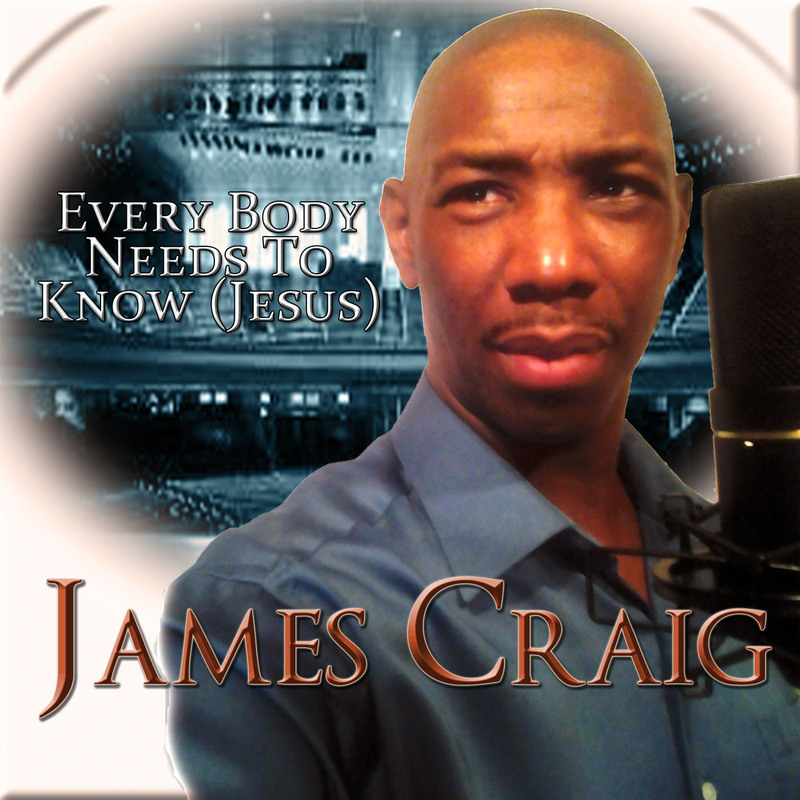 With that in mind I have released my first single: Everybody Needs To Know (Jesus), on CDBaby which will be on my new upcoming CD. Please follow the link for a preview and purchase. Also please leave a comment on the website and on this blog if you enjoyed it. The enemy is attacking ministries all around the globe. Especially those who have truly been called by the Lord Jesus Christ. Now the Lord does not give people ministries, He makes them a ministry. He did not spend years preparing you, destroying your will, and rebuilding who you were, just to give you a ministry that you can put down whenever you get ready. He makes you a ministry for the very purpose that you would not be able to put it down on a whim, or difficult moments, or in the time of testing and trials. When the Lord makes you a ministry you are that ministry. Not the service you provide, or the speeches you make, or the gifts that you have. They are only there to help you in the ministry you are. Many want to have what God has made them to be. God has made you a church, he didn’t give you one. He has made you a ministry He didn’t give you one, and that ministry is a life walk not a career move. Now if you have called yourself to ministry, then you can put it down when you want to, but if He has made you a ministry, He made you a ministry for as long as you live. Jeremiah was called and made a prophet, and he decided that he didn’t want to declare the word of the Lord any longer. However, the Word of the Lord was like fire shut up in his bones. This is because he was a prophet: he didn’t have a prophetic ministry. Jonah was commanded to go to Nineveh and decided he would runaway from the Word of the Lord, but the Lord is not easily abandoned. The Lord found Jonah on the sea and prepared a whale to swallow him, and when He released Jonah: what was a three days journey, was done in one day, because Jonah was a prophet, he did not have a prophetic ministry. Ministry is hard, it requires self sacrifice, self denial and putting one’s self on the back burner to do what God has commanded and built you to do. If the Lord has truly called you to ministry, He did not call you to have a ministry but to be a ministry. Which means you cannot put it down when you want to, because ministry is who you are; not what you do. I have often tried to deny the ministry I am and was swiftly shown that when the Lord has ordained a thing, that thing will come to pass. Believe it. Therefore, take courage, and stand fast, because God shall obtain what He has placed inside of you. The ministry that the Lord has established in you shall remain. Nothing or no one, even you can stop what God has ordained. So stop complaining and get back on the wall in Jesus Name!! !